A couple of posts back I talked about an idea I have for a Slow Fashion Fabric Swap. I have more than a little fabric sitting on my shelves and while I love a lot of it, I know in all honesty that it is unlikely I will sew with it all. After reading a fabulous post by one of my online Craft heroines, Felicia Semple of The Craft Sessions, this past August, an idea popped into my head. If you want to read more about my thought process, take a read over there! I figured that I might not be alone in feeling overwhelmed by how much fabric I own, and the implications of consumption that my stash hold. 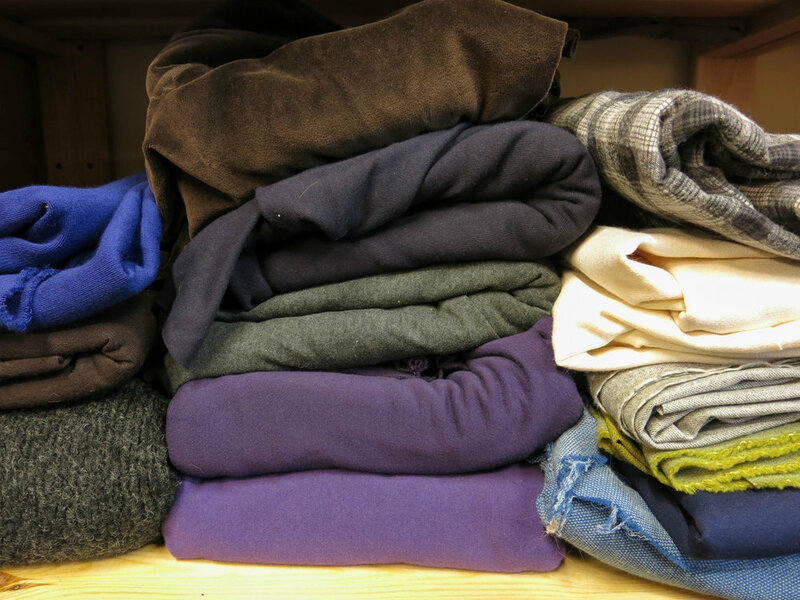 Perhaps there could be a way to highlight these practices of accumulating, while connecting to other sewists out there in the universe. While we are doing our small part to change our views on consumption, we will also be soothing our inner desire for something new to us, something exciting, and inspiring, by moving our collective fabric stash around the circle a tick. An ethical life is not by definition one of deprivation, constraint, and restriction. There is so much beauty around us, so much to inspire, and to create joy with, especially right in our own stashes. But turning a critical eye to what we own, by moving something along, and then receiving something new (!) we will scratch that itch for the new. Yet without creating excess in the universe.... Win win, don't you think? The SFFS is not meant to bash each other over the head with shame and politics, or to point the spotlight at any one person, but just to gently remind us all what 'Enough' really can mean. And as the saying goes, Enough is as good as a Feast. I have felt this on a very personal level recently as I have stopped looking outwards for stimulation, but instead inwards at my own stash, and the resources already at my fingertips. Neutral linen that is endlessly versatile. If you have come to this page because you got an email from me today (or yesterday, or earlier in the week) I thought we could all use this forum to say hello, if you like, and share some thoughts on why you are here, and what the Slow Fashion Fabric Swap means to you. There is absolutely no obligation to speak up, please do not feel any pressure. I am sure there will be some among you who have much to say, and others who do not. I also know well, from personal experience, that many who Make land somewhere on the Introversion scale. This space is quiet and safe, and by it's nature, protective. We are out of the glare of Social Media here. You can share ideas and thoughts from a safe distance. We are a like-minded group, warm, open, and supportive. I myself am curious what you all think about your fabric consumption, your stashes, why you buy, what you make, or don't make from what you buy. 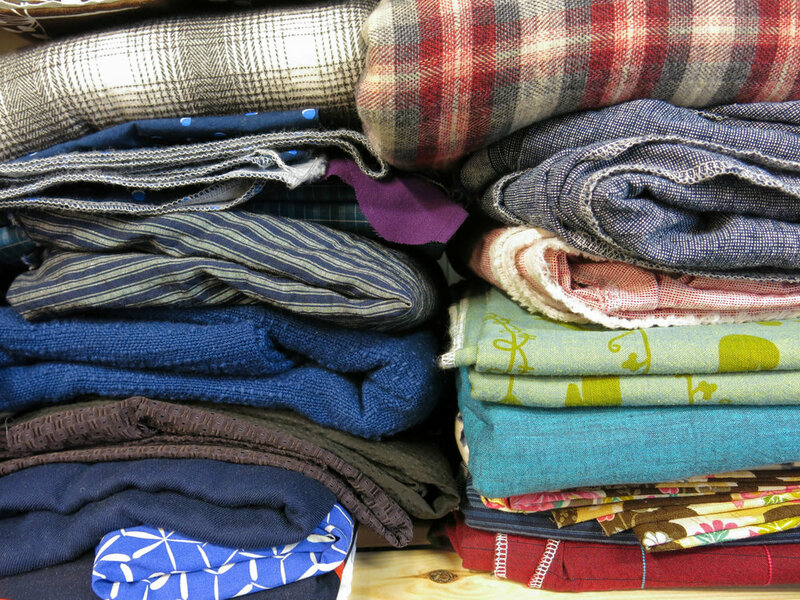 How does fabric come into your stash? From stores, from online, from thrift stores? Do you buy often? Rarely? Someplace between? How does it feel to sew from your stash? What's in there? I always want to make the best use of my fabric, with as little waste as possible, and with the best chance of the garment made being worn regularly. Just choosing the correct combination of fabric and pattern can stop me in my tracks. But ultimately wouldn't it better to solve this conundrum than to spend more money, buying a something new? How about you? Is it easy for you to pair up fabric and pattern? 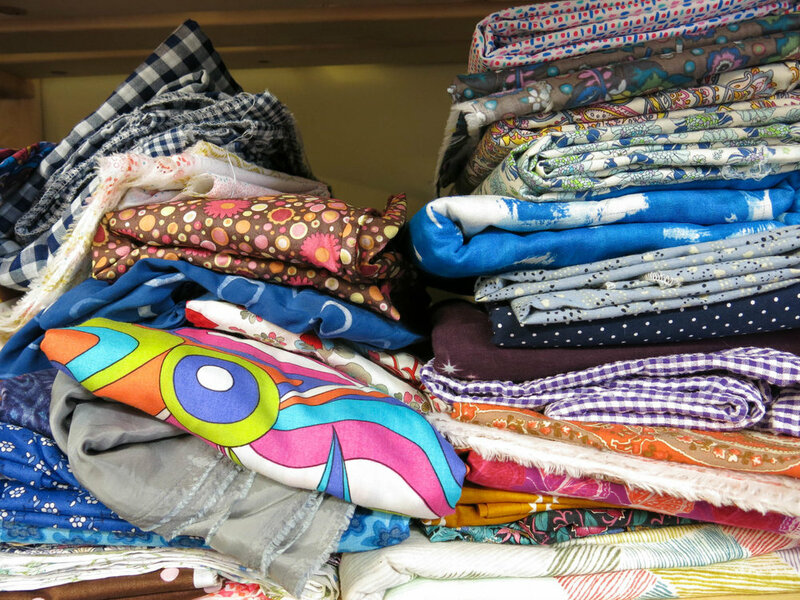 Do you have pieces of fabric in your stash that you have NO idea what to sew with? Pieces that you bought for a purpose that you can no longer remember? Pieces you bought for patterns that no longer interest you? Or fit your style? Is it easier to buy new than to use what you have? Shall we begin there? How does it go, sewing from your stash.....? Oh, and if you are not part of the SFFS that does not exclude you from the conversation! Join us! If there is interest and demand I will run another Swap in the future....!